I don’t tend to comment on the activities on MG-Rover.org Forums very often, but couldn’t let this latest piece of ‘news’ from over there pass without reporting to a wider audience. Cast your minds back to early 2005, when MG Rover was in its final dying days. John Towers was in the media almost daily, claiming he’d nailed the £1bn deal with the Chinese to save the company, while we all believed that the RDX60 was genuinely making progress. However, deep down, we knew it was a hoax and a way of generating column inches while attempting to make the world believe that MGR’s management had actually been busy on the new car project, when in fact, they were a million miles from finishing it. Back to MG-Rover.org. A thread recently appeared following a visit to Longbridge by the MGF Register. During the visit, a trio of MGF prototypes were shown, as well as a styling model for the RDX60 programme. It was the green model we’re all quite familiar with – although, interestingly, it’s the first time it was shown to the wider public. However, the forum’s owner, Steve Childs, published a response to this that is very interesting indeed. It stated that the hoax picture (above) was orchestrated by the MGR Press Office (we kinda knew this, as they’d done this sort of thing before) and it was okay to publish once The Sun had enjoyed its scoop. CONFIDENTIAL – NOT FOR EXTERNAL USE UNTIL TOMORROW, FRIDAY 11th FEBRUARY 2005 (after The Sun newspaper release it). Here, as mentioned, is the image that we understand is to feature in The Sun newspaper tomorrow. It is an image from Peter Steven’s talented design team of Rover’s new medium car, that will compete in the sector with competitors that include Ford’s Focus and VW’s Golf. Can it be that someone (else if you prefer) scans the newspaper to place on your website from tomorrow and if you feel it helps, use the attached photo to enhance the ‘quality’ of the image you have (taking care to crop it the same as used in The Sun newspaper, please). What interests me here is that MGR was quite happy to feed the friendly media with an image that it unapologetically acknowledged was little more than vapourware with the intent of showing the world that it wasn’t the lame duck that it really was. The arrival of this new image, along with Towers’ insistence that he really had conquered the Chinese, was all a smokescreen to try and convince the Government that things were a lot further on than they really were – while holding out the begging bowl in order to fund further investment in the dying company. In the coming months, the full story of MGR’s sad death will become public knowledge, along with just how far from fruition these projects actually were. Regarding the RDX60, we already know from the development story on this website (which needs updating) that they got as far as developing the car and tooling virtually, but no tooling had been purchased. We also know that the green prototype (shown to the MGF Register) was shown to the dealers as a way of convincing them to stay faithful to the marque. 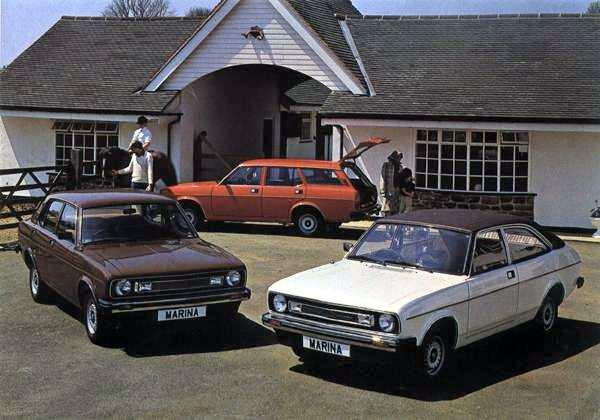 As for the blue one – that’s just a resprayed TCV concept. 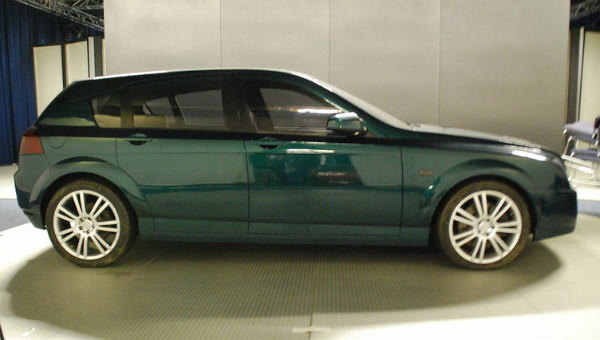 Images of that car can be found here on the MG-Rover.org Forum – I’ll let you make up your own mind as to whether it would have sold. But in reality, none of it mattered, as it was probably still three years away from production (at best), as SAIC’s subsequent efforts with the MG 6 have shown us. As for getting some decent photography of that prototype for the website, so far, MG UK’s PR ‘Team’ seems to have forgotten the art of answering the ‘phone or returning voice messages. Interesting how much like a 1 series the green car looks. Bavaria poaching ideas? Such as their 4×4 projects after divesting LR? Never! I really like this prototype of “a future Rover”. The body and its lines look so distinctive. And as all Rovers, this also looks it would handle well on bad roads. Anyway, if it was in the showroom I would surely buy one.